A court in the Netherlands has ruled that two Dutch patents for processing teff, a kind of grain which has been used for thousands of years to make injera, the fermented pancake that Ethiopians eat with their meals, are null and void. The Ethiopian government has welcomed the verdict. 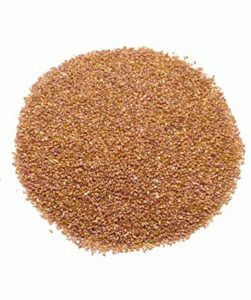 The patents had led to outrage in Ethiopia, where teff is widely considered to be a part of the national cultural heritage. They were also in the way of Ethiopian exports to the European market, where this so-called ‘ancient grain’ or ‘superfood’, just like quinoa for example, enjoys a growing popularity. But the conflict about the Dutch patents has now ended with the verdict of the District Court in The Hague, where an infringement case had been filed in 2014 by the holder of the teff patents, the company Ancientgrain, against a rival, bakery giant Bakels. The court ruled that both patents are invalid due to lack of inventive step. The method to bake bread from the flour ‘is a very common baking method that belongs to the general professional knowledge’ and the mixing of different grains ‘can be considered to be part of general professional knowledge’ and therefore not be considered inventive.